Where In The World Is Justin Lewis? When I decided to visit East Africa, a fine art project was on my mind. After one day in the Ngorongoro region, my focus shifted toward poaching. 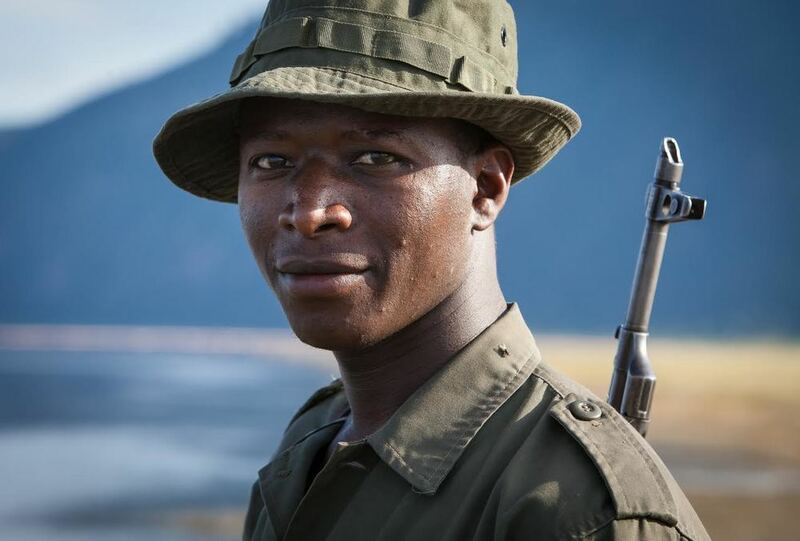 I met Pay (pronounced "Pie" or sometimes called Johnson Mbaryo), a game ranger from the Sonjo tribe, who was working as a game ranger stopping poachers at Manyara National Park. He was our guide at first, then he became a close friend and accompanied us, often helping to navigate sometimes-deadly terrain, hungry wildlife and tribal disputes. Pay is from a mountain village in the Ngorongoro region. He went to school in Tanzania to be a naturalist, working to preserve the beautiful land of his family and his ancestors. We were so thankful to have Pay by our side, especially as a "local" who was familiar with the unique politics and culture of the tribes we encountered. He was able to introduce us to friends in the Sonjo tribe who would become the subject of my portrait series. He also helped communicate with them about my photography equipment. For individuals who were wary of cameras, being able to give them an instant polaroid from my Hasselblad was an immediate icebreaker. They were fascinated with the photographs, and for some of them it may be the only printed image of them and their family they will ever have. I was able to document a portion of the incredible stories from this trip in my East Africa project, but a return trip is definitely in the works! In this bustling base for North Pole expeditions, everything is expensive in short supply — from "hotel rooms" (our $125/night accommodations were no more than a double-wide trailer with bunk beds) to dog sled guides (especially those who speak English!) Surrounded by icy seas, there's only a three-month window of opportunity for ships carrying tourists and deliveries to reach this northernmost municipality in the world. We met our guide, a Thule Inuit named Martika Qujaukitsok, through a friend of a friend. A subsistence hunter, he'd never taken people out on an expedition before. Martika (also called Thomas) was very kind, and generously let us take a glimpse of his life in this beautiful but deadly place. He spoke no English and we didn't have a translator on the expedition, but before we left, we learned a little more about our first-time guide. He's never left his birthplace, the small community of Qaanaaq, Greenland, and he knows only one way of living — that of his ancestors. He spoke about how his traditions, like the arctic landscape, are rapidly changing. "I drive my dog sled because it is my culture and my life," said Martika. "It will always be that way." Asked about the ever-increasing hunting quotas placed on Inuit hunters, he replies, "From the outside, they think our hunting is bad. Hunters make and hold the circle of life. We hunt to survive." He gestures to a group of younger Inuit men. "Our children don't participate in the hunting life anymore. They are foreign to their own culture because they do not go out and hunt." Watch the short documentary we filmed in Greenland, and learn more about the larger 70 Degrees West project. 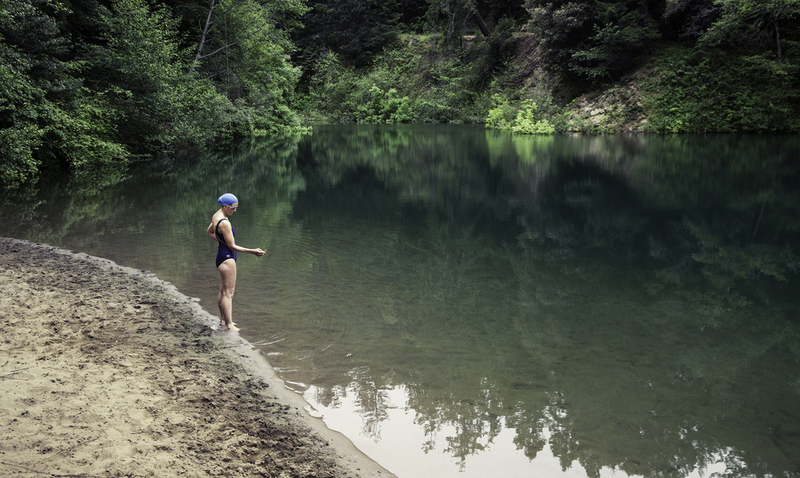 On a film project for Suunto earlier this year, I ran into a friend from halfway around the world. I spotted Fernando standing on the dock as the crew and I arrived at a small island in the Maldives. We were a world away from the last time we saw each other on another shoot in Sayulita, Mexico (top photo) but instantly reconnected. As it turned out, Fernando had been hired as one of the water athlete models for the Suunto shoot (bottom two photos). By sheer luck, we'd been randomly chosen to stay together during the shoot. We shared a gorgeous 2-bedroom "honeymoon" bungalow with a glass floor for reef-viewing and an infinity pool — although I have no clue why you'd need a pool when you're literally hovering over the 80 degree waters of the Indian Ocean! It was a random but happy accident being on another shoot with Fernando. With the benefit of having worked together before, I knew I would get the shots I needed. Fernando is an impressive athlete and an amazing fitness model. Who knows where in the world we'll run into each again?